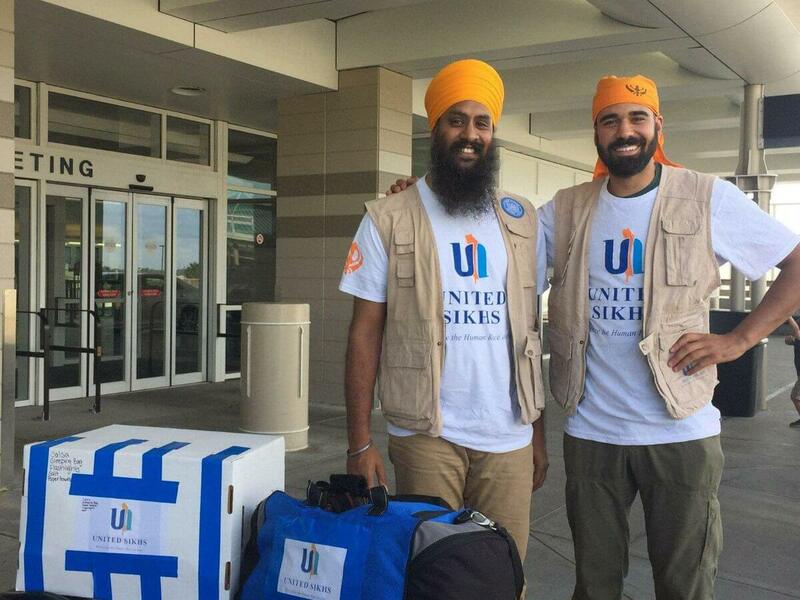 For nearly two decades, UNITED SIKHS has worked tirelessly to uplift the downtrodden and bring hope to communities in distress during natural disasters. We are committed to this mission: "Recognize the Human Race As One." 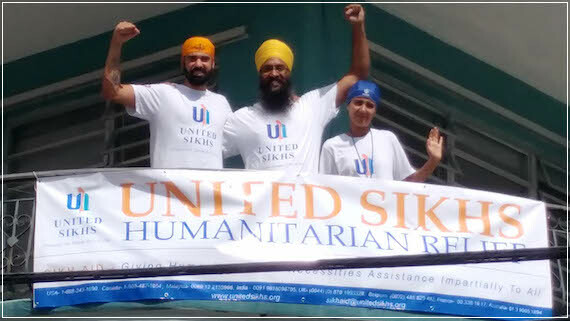 The UNITED SIKHS Disaster Relief Teams have served humanity in Indonesia, New Orleans, Nepal, Japan, Haiti, Bangladesh, Mexico City, Puerto Rico and beyond. Partnering with the United Nations, FEMA, and other leading NGOs, the UNITED SIKHS Disaster Relief teams are deployed in especially-vulnerable areas to provide aid and rehabilitation. We identified communities where little to no aid has yet arrived. The most pressing need is to provide families with food, water, and temporary shelter to survive the aftermath and help rebuild their lives. Hundreds of Sikhs across America have joined us to host donation drives to support ground relief efforts assisting thousands of residents of all faiths throughout the coastal regions of North Carolina and Florida hit by the worst storm and flooding in a generation. Sangats across Chicago, Washington, Maryland, New York, New Jersey and North Carolina raised more than $5,000 in cash donations and food supply. Immediately following the storms, we partnered with local Baptist churches, schools food banks and other faith-based organizations, including SikhLEAD, The Khalsa School, YMCA and American Red Cross, to provide essential resources, such as bottled water, warm meals, baby formula, clothing, blankets, diapers, flashlights and canned food supply. Through this effort, more than 1,000 families have received aid in areas most affected by food supply shortages and power outages. 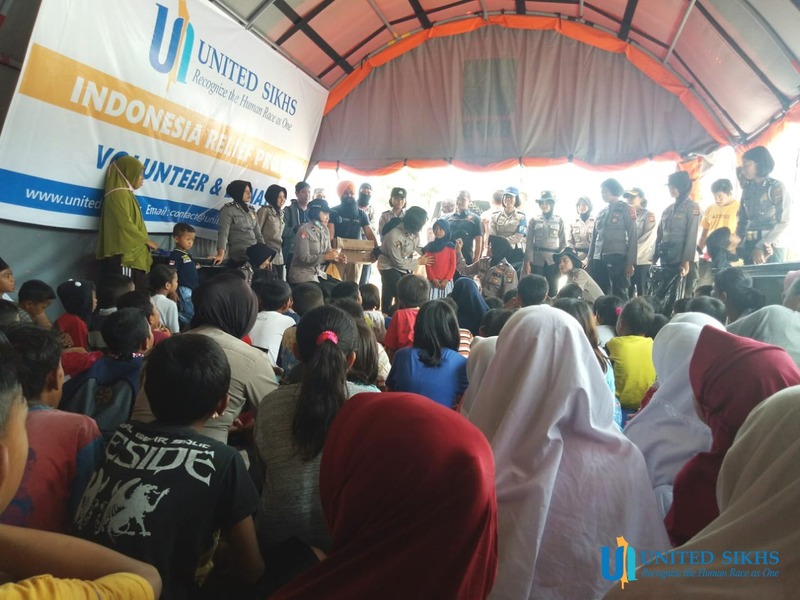 Langar is saving lives in Donggala, Indonesia. After a series of devastating earthquakes, a tsunami and volcanic erpution this fall, we started feeding 1,000+ families through daily lunch and dinner, as well as food ration supply. Rows of tents now stand where homes and schools were swept away during the disasters. To help children maintain their education, we're also donating school supplies, books and stationary. Local families, who are predominately Muslim, are singing, praying and cooking langar with our volunteers and learning about the values of Sikhi for the first time! 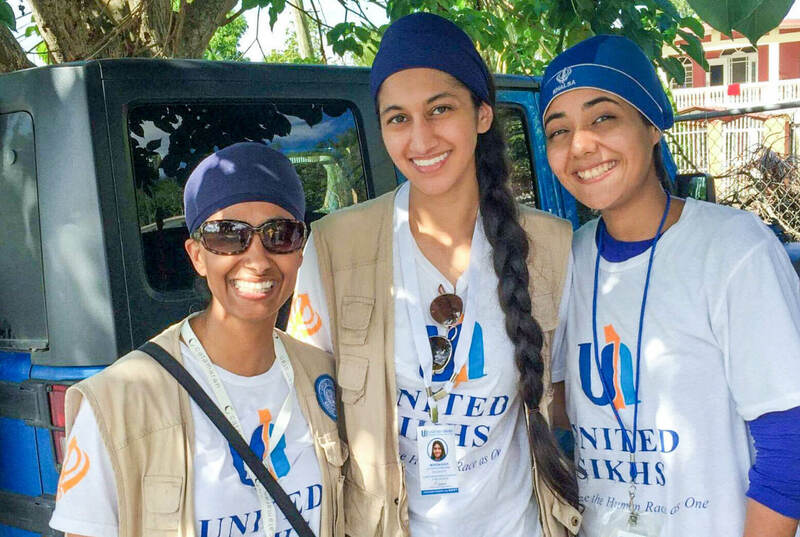 Through the Puerto Rico mission, UNITED SIKHS Disaster Relief Ground Team, in coordination with FEMA and local strategic partners, reached the island within days following Hurricane Maria. Through sheer determination, our team members worked to restore damaged water pumps in the Utuado and Lares region serving over 60,000 families. Simultaneously, our teams served fresh, hot-cooked meals reaching over 20,000 Puerto Ricans in the most remote areas and mountainous regions during the months of October and November. Subsequently, UNITED SIKHS also shipped five 40’ containers packed full of humanitarian aid with over 50,000 water bottles, over 50 pallets of relief supplies (batteries, diapers, cleaning supplies, canned foods, etc) and over 100 ‘Sawyer’ water filtration kits. Undoubtedly, these are significant results which have been recorded and recognized by FEMA and our strategic partners in and around the region. All of us at UNITED SIKHS are truly humbled that our volunteers empower themselves to work hard as they selflessly carry the Guru's message wherever they go and shine a light into the darkest corners of the earth. Please consider making a donation to help UNITED SIKHS Disaster Relief Fund reach its goal. A donation of any amount goes a long way to support the work being done. Thank you for empowering and fueling the work of the Sikh sangat!